Bank of Japan (BOJ) Governor Haruhiko Kuroda attends a news conference at the BOJ headquarters in Tokyo, Japan, September 21, 2017. OSAKA - Bank of Japan Governor Haruhiko Kuroda said on Monday there was a shared view among Group of 20 major economies that currency rates should move stably reflecting economic and financial fundamentals. 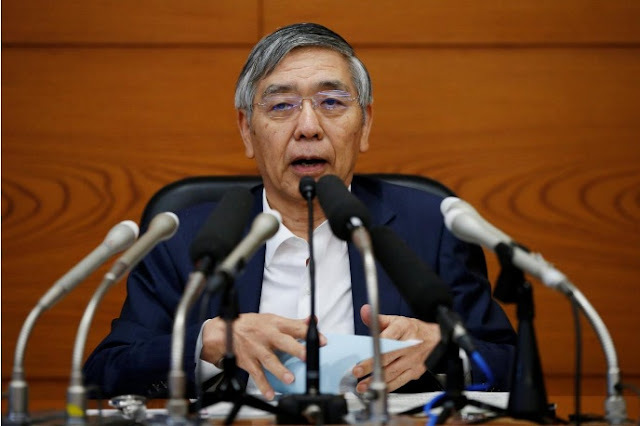 “The BOJ will continue to carefully watch currency moves and their impact on Japan’s economy and prices,” Kuroda said in a meeting with business leaders in Osaka, western Japan. Kuroda made the remarks in response to requests made by some of the business leaders that the BOJ continue to work with the government to ensure yen moves were stable. Bank of Japan Governor Haruhiko Kuroda said on Monday there was a shared view among Group of 20 major economies that currency rates should move stably reflecting economic and financial fundamentals.